Made with natural ingredients, field tested formula. Effectively repels for up to 3 weeks. Non - toxic, biodegradable and pleasantly scented. Easy to use shaker applicators. 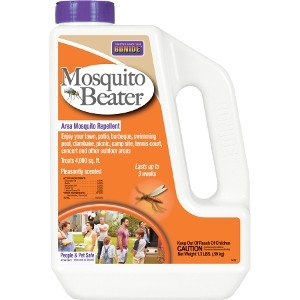 Enjoy mosquito free surroundings, any place, anytime.